New Delhi: At least six fresh cases of malaria have been reported during the past week in Delhi, taking the total number of people affected by the vector-borne disease this season to 46, according to a municipal report released today. Only two fresh cases of dengue, another vector-borne disease, were reported in Delhi between June 23-30, meaning malaria continues to spread faster than dengue in the national capital. Of the 46 malaria cases, 25 were reported in June, 17 in May, one each in April and March, and two in February. Of the total 30 dengue cases this season, six were reported in January, three in February, one in March, two in April and 10 in May and eight in June, according to the report released by South Delhi Municipal Corporation. The SDMC tabulates data on vector-borne diseases for the entire city. Two fresh cases of chikungunya have been reported in the last week of June, taking its total to 16. “Both dengue and malaria have different carriers. Therefore, it is not unusual for malaria cases to be reported in larger number compared to dengue,” a senior doctor at a government-run hospital said. “But people must take all precautions, like wearing full-sleeved clothes and not allowing breeding of mosquito larvae inside homes. Water coolers should be dried up when not in use as dengue infection-carrying mosquitoes breed there a lot. Mosquito-nets should be used at home,” she said. The cases of vector-borne diseases are usually reported between July and November, but the period may stretch to mid-December. No vector-borne disease case was reported till January 13. The report said domestic breeding checkers have found mosquito-breeding in 42,547 households in the city till June 30. It said 48,521 legal notices have been served for various violations and “3,506 prosecutions have been initiated”. Delhi Lt Governor Anil Baijal on June 28 directed local bodies and other agencies to intensify vector-control measures. Baijal also asked for regular review meetings at the level of district magistrates with all stakeholders to review the situation in their respective districts. Ten people died due to dengue in Delhi last year, according to South Delhi Municipal Corporation. Five of the victims were not Delhi residents, but they died in the national capital. Overall, the vector-borne disease has affected 9,271 people in the city last year. The official toll maintained by Delhi municipal authorities till December 26 stood at four, even though some hospitals reported a few more deaths due to dengue. 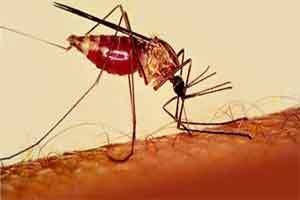 The mosquito-borne tropical disease had claimed its first victim in the city last year on August 1 when a 12-year-old boy died of dengue shock syndrome at Sir Ganga Ram Hospital. Three more deaths were reported in October by SDMC. The number of malaria and chikungunya cases reported last year stood at 1,142 and 940 respectively.